Losing Hyaluronic acid in the skin is an unavoidable part of growing older. 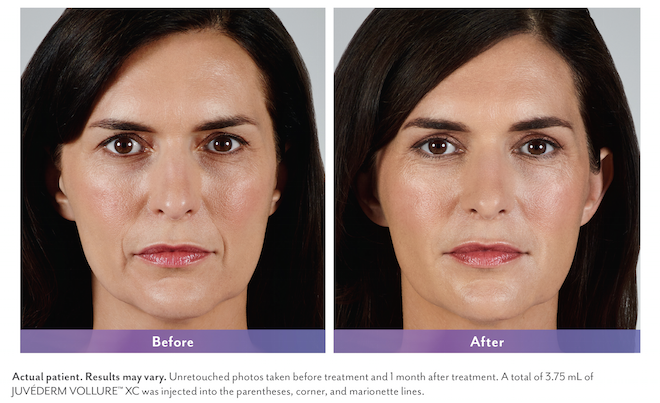 To combat the signs of aging, we now have Juvederm® Vollure, the newest addition to the Juvederm® family of hyaluronic acid fillers. Designed with the latest vycross technology, Vollure allows for a smooth natural correction of facial folds with results lasting up to 18 months.